The year 1986 reminds me of two events. First, the assassination of Dele Giwa and second, as a football lover, Mexico ‘86, with Diego Maradona’s sterling performance. Although I was born the following year, as one who loves history, I know about the preceeding occurrences very well. At a very young age, I was privileged to watch Maradona in USA ‘94 live on television, in the games he played against Nigeria and Greece. However, I wasn’t able to see Dele Giwa or read any of his columns while he was alive but I have since read a number of these columns and tried to imagine what the situation in the country was was like back then. It is now 32 years since Nigeria lost Dele Giwa, the co-founder of Newswatch magazine. He died as a result of injuries he sustained through a letter bomb delivered to him in his home at 25 Talabi Street, off Adeniyi Jones Avenue, Ikeja, Lagos on October 19, 1986. He died at 12.27.pm in First Foundation Hospital, Opebi, Ikeja. Seven months later, I was born in the same hospital in which Dele Giwa died. Today, I am a journalist writing about him. I call it fate. 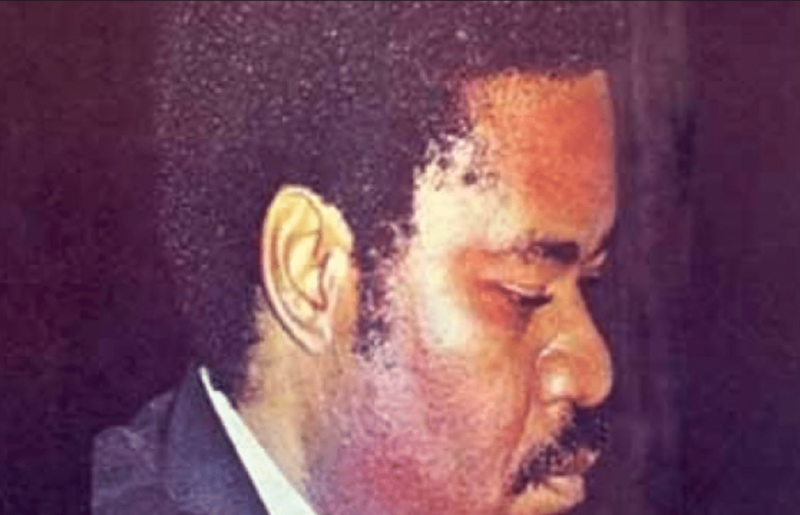 Who was Dele Giwa? Talking about him in terms of journalism alone is like reducing his stature. Yes, he was among the crème de la crème of the profession. He was one of the finest journalists ever, but above all, he had all the qualities that a leader should have. He was selfless, fearless, detribalised and so on. Today he is no more but we have to celebrate him. Speaking of Dele Giwa, it is almost impossible to leave out his colleagues. There were musical groups like the Beatles, Jackson Five, Cool and the Gang but here we had a group of young men who mesmerised us, but not with music. They wrote the minds of the masses, irrespective of whose ox was gored. That is the true essence of journalism. It is just as if the words integrity, detribalised, fairness, equity, doggedness and brilliance were invented specifically for the Newswatch men. They had it all. These men coming together to found Newswatch were like a match made in heaven. They came from different backgrounds but had professionalism in common. They were pacesetters and trend setters. They made journalism attractive in Nigeria because they combined intellect with swagger. These men had ‘swag’ long before the word became popular. Unfortunately for Nigerians, one of them was killed in his prime. Dele Giwa was assassinated at the peak of his powers. He was full of life when the angel of death came knocking. He had so much to offer Nigerians before his demise. He was only 39 years old but till date, everyone is still talking about him. It isn’t easy to be a legend at that age. That was what he achieved with his colleagues – legendary status in their youth. It is 32 years now and people are still talking about how he died. As for me, I prefer to talk about his life and the things he stood for. What should we learn from the life and times of Dele Giwa? We should be objective and courageous. Without honesty and courage, one has no business in journalism. Journalism should never be a cash-and-carry business. The less privileged should be given an equal chance to air their views. Journalists should carry all Nigerians along, irrespective of financial, ethnic or religious statuses. A journalist should be the voice of the voiceless. If you look at the rot in the judiciary, the executive and the legislative arms of government, it means there is more work to be done by the fourth estate. It would be catastrophic if journalists ignored the core principles of the job. In every institution there are bad eggs but we shouldn’t allow these bad eggs to overshadow the good ones. If that happens, then what hope would the ordinary Nigerian have? The best way to keep Giwa’s legacy is to be him. There is no better way than that. Let’s all be Dele Giwa.